Like its namesake, the Freddie shade commands attention. 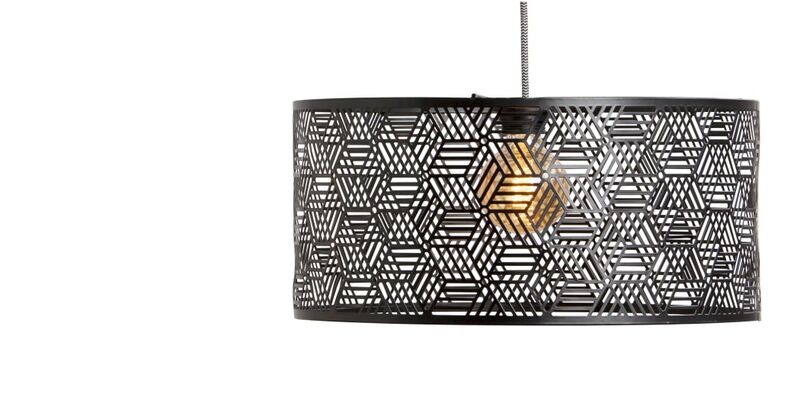 Designed with bold, geometric patterns, it softly illuminates bedrooms and living spaces. In a matt black finish, the shade is a sophisticated addition that won't go unnoticed. This will work best in spaces with a few darker pieces to tie the look together. Thanks to its striking design, the shade works with a variety of styles. Use with a filament bulb for a vintage look, or frosted for a contemporary city pad. Shade can be fitted to any existing pendant. Shade reducers included.